Jean Greybar, 91, of LaPorte, Indiana, passed away peacefully at 8:05 am, Sunday, Dec. 2nd, 2018 at Brentwood Assisted Living Home. She was born on July 17th, 1927, in Herrin, Illinois to David Pinkston and Myrtle (Rigsby) Pinkston. Jean married Fred Greybar II on May 1st, 1948, in Chicago, Illinois. Jean is survived by her son Fred (Linda) Greybar III of LaPorte, Indiana, and her sister Donna (John) Flowers of Calumet City, Illinois. Also surviving are her grandchildren, Shannon (Douglas) Greybar- Milliken, Stefanie Greybar and Sthele Greybar; as well as her great-grandson, Roman Milliken; and her brothers-in-law Robert Greybar and Raymond Greybar; and many nieces and nephews. Jean was preceded in death by her husband on November 8th, 1987. She was also preceded in death by her parents and her sister, Virginia Loeb of Scottsdale, Arizona, and brother David Pinkston, Jr. of El Toro, California. Jean spent her childhood in Herrin, moving with her family to Chicago in 1942. She graduated from Hyde Park High School in Chicago in 1944. While in high school, Jean “forged” her work permit before she was 16 to work in factories during World War II. Following high school, Jean entered the currency exchange business, working at several locations in the Chicago loop. Jean also started her own women’s and children’s clothing store and entered the real estate business. Jean and Fred fulfilled a longtime dream of moving to the Western United States, relocating to Albuquerque in 1972 when she obtained the position of Administrator of Operations for Great Western Cities Land Development Corporation. This proved to be a fabulous time in their lives both professionally and personally enjoying the ‘land of enchantment’ and developing a deep appreciation for southwestern culture. Fred’s family was primarily located in Fort Collins, Colorado where they spent a great deal of time together over the years. In Jean’s post retirement years, Jean became an independent jewelry wholesaler traveling throughout the country. Besides her work, she loved her role as wife, mother, grandmother, great-grandmother, sister, daughter, homemaker, volunteer, neighbor and good friend. 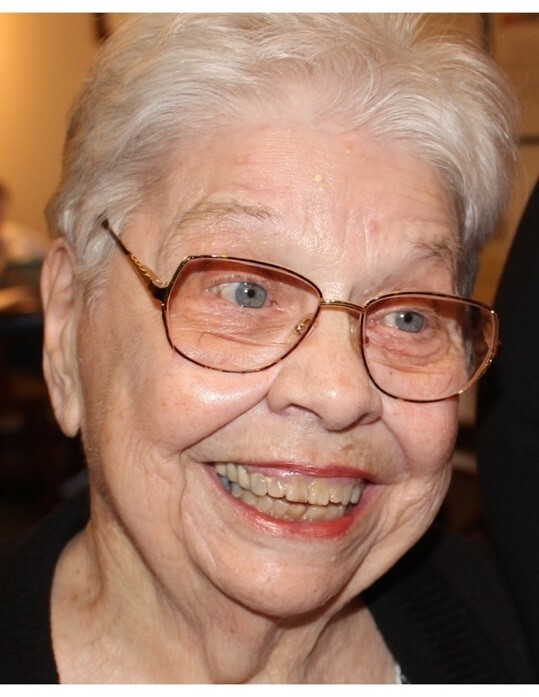 Jean loved piano music, Native American art, theater, the companionship and entertainment of animals (particularly German Shepherds and Miss Daisy the cat), traveling with friends and family and beautiful gardens. She loved meeting people from all walks of life and cultures. She was a competitive spirit, lifelong learner and avid bingo player. Jean welcomed many into her home over the years with kindness and warmth. She was always ready to lend a hand and be of service to others. She was well thought of, appreciated for her kind and gentle spirit, and frequently sought out for her wisdom and advice. She was much loved and will be greatly missed. Family would like to express special gratitude to Brentwood of LaPorte, Alicks Home Medical Equipment, her trusted friends and care takers (Anastasia, Janice and Rose) and Dunes Hospice. A Celebration of Life Memorial Service will be held at 4 p.m. (CST) on Friday, December 14th, 2018, at Cutler Funeral Home, 2900 Monroe Street, LaPorte, IN 46350. Visitation with the family will begin at 2 p.m. (CST) with light appetizers. A reception with heavy appetizers will follow the service in the chapel of the funeral home. A video of the memorial service will be available. Friends and family who are unable to attend the memorial can email grandson Sthele at sthele03@yahoo.com to request the link to a recording. In lieu of flowers, contributions in honor of Jean may be made to Semper Fi Fund (https://semperfifund.org) or www.reigningcatanddogsrescue.org.